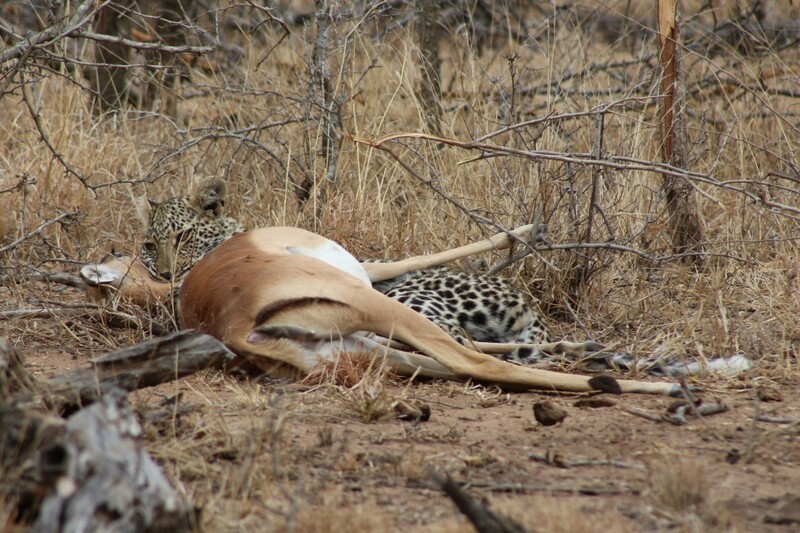 We’ve recently seen a lot more of the younger female leopard (known as the Makeppies female) and her cubs – it seems that she has taken over the territory around KwaMbili which used to belong to our old resident female Twinspots. Twinspots has been left to roam the rest of the reserve as a nomad. Although this new younger female is small, she is quite strong and successful – she has been able to keep 3 cubs alive for 12 months now and they are all still very healthy. 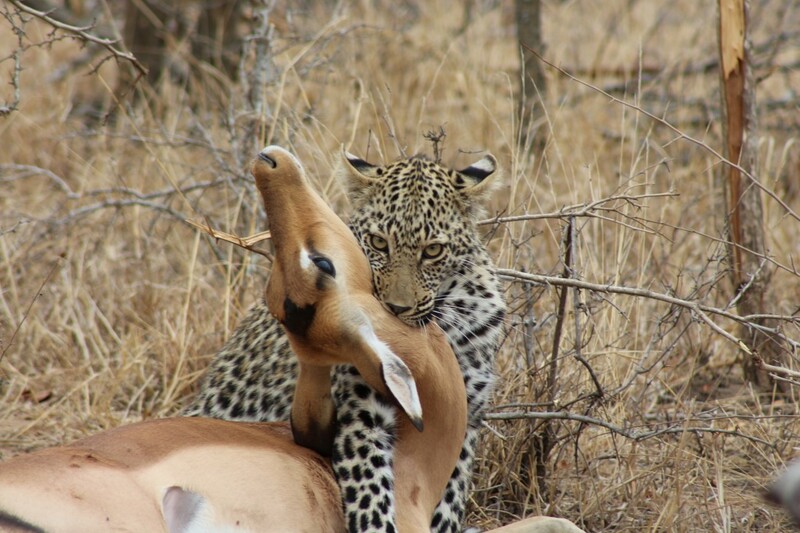 We were lucky enough to come upon her making a kill – an impala. We were able to sit with her for about 20 minutes while she strangled the impala, a slow process, complicated by the impala kicking and struggling. 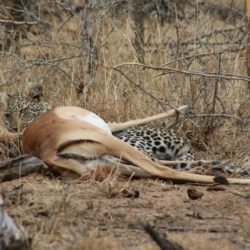 Through it all the leopard grimly held on the impala’s throat, even though she was clearly exhausted – she knew how important every meal is for her little ones. 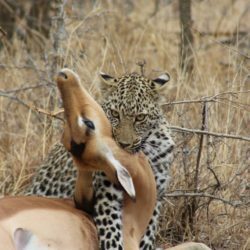 We felt a mixture of sadness and joy – sad that the impala’s life was over but glad that the leopard family were getting the food they need.